So the reason we flew to Thailand was because James designed a new beach bag that we wanted to take pictures of – on the beach. OK, maybe that’s a lie. But what’s true is that we couldn’t have found a better place to photograph The Suze. 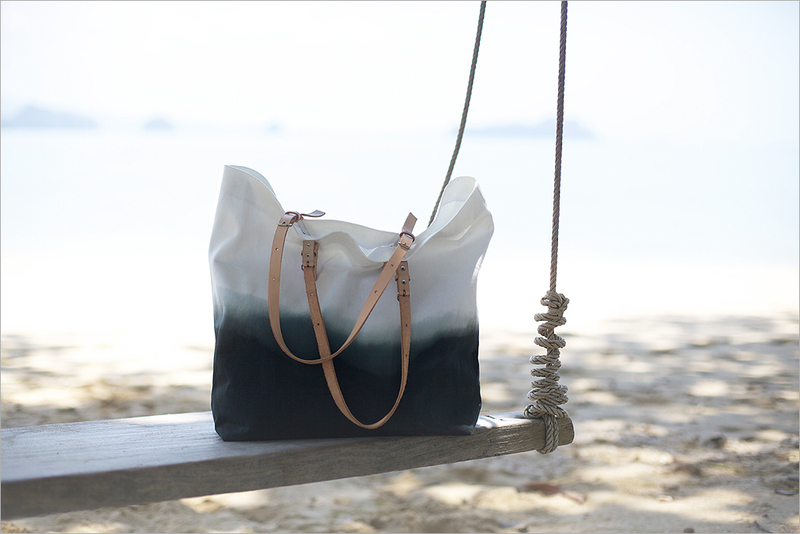 It’s a dip-dyed denim shopper with tan leather straps that looks like 30 degree sunshine to me. I carried mine from the hut to the hammock every day, filled with beach towels, sunscreen lotion and books, although I’m sure I’ll wear it in the city this summer as well. My favourite combination is the white/black version above, which is also available in white/azure and white/yellow. 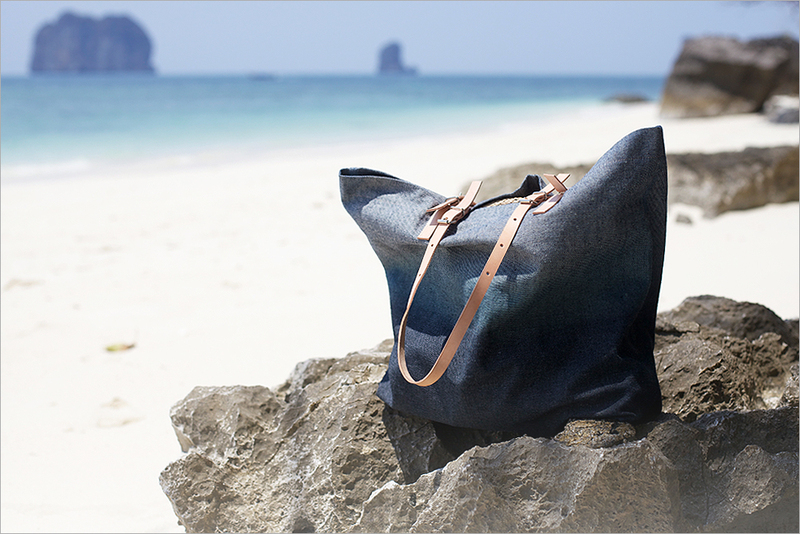 James also makes the bag from a blue denim, dyed in either black, like the bag below, or in pink. All are available online from James Castle now. And which would be your pick for the summer? This entry was posted in by james castle, fashion, hers and tagged beach bag, denim, James Castle, Suze bag, tie-dye. Bookmark the permalink. Post a comment or leave a trackback Trackback URL.